Three Easy Preschool Easter and Spring Crafts: Hand Nests, Easter Cards & Sponge Eggs! Easter time is a special time, especially in the classroom! Springtime is a welcome sight after the all-too-often dismal winter. Easter time is filled with fresh new flowers and budding leaves on trees. In addition to spring, eggs are often used as a symbol of Easter, because of the “new life" found in nature. Use these free preschool Easter crafts as a supplement to any Easter or spring-themed lesson plan. Watch your students’ imagination grow and capture moments in time with these projects. Creating nests with their accompanying eggs are a perfect way to celebrate the Easter season! Go a step further and capture a moment in time by making these nests out of your students’ hands. Start with brown construction paper. If you do not have any brown paper you could use a brown grocery paper bag, or you could paint a white paper brown using tempera paints or water color. Once you have your brown piece of paper, trace your students’ hands. Make five separate tracings. Have your students cut out their hands if they are able to do so. Once cut, your student can glue the hands together to make a “nest." Using pre-cut eggs of any color, have the students glue the “eggs" to the center of the nests. Cereal that is shaped in a circle, or even buttons, could be used to make the eggs. Preschoolers love flap cards and flap books! 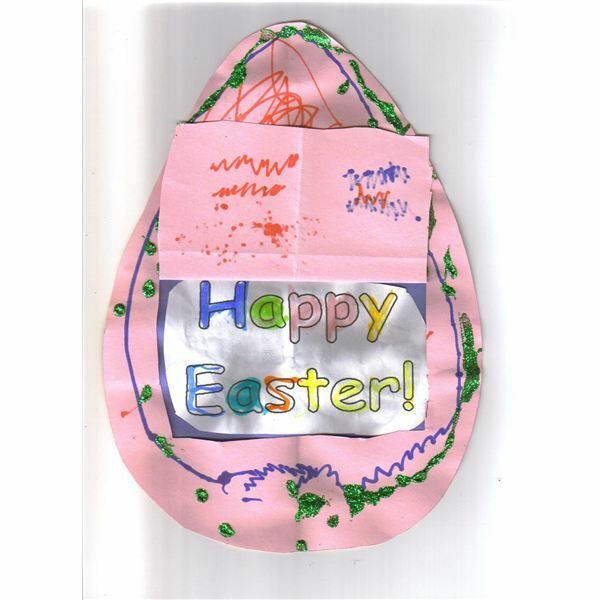 Use this interest to your advantage by creating Easter flap cards. 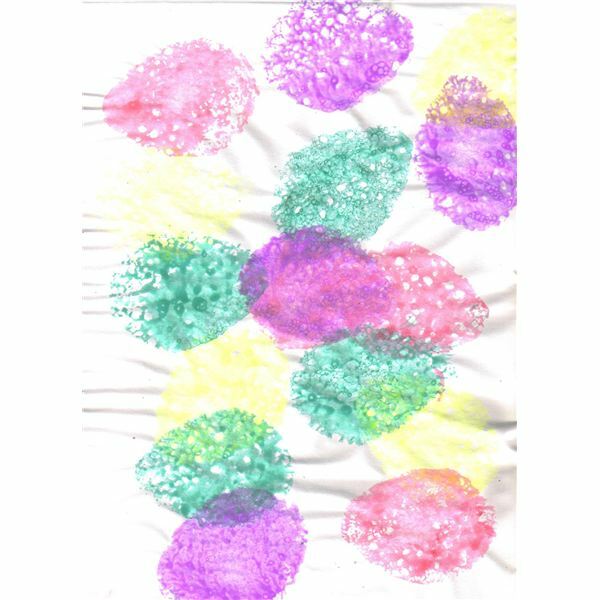 Have your students cut drawn-out pictures of eggs of any color. If your students have not acquired this motor skill, have pre-cut eggs available for them. In the middle of the egg cut out a “window," but leave one side adhering to the egg, making a flap. Ask the students to decorate their eggs and have a multitude of materials available for them. You could have markers, crayons, stickers, paints, or glitter, as decoration materials. Be creative! In addition, have a black and white Easter picture for the students to color and make their own that fits the size of the window. Once completed, glue the black and white (now colored) picture to the back of the Easter egg, so that when the flap is opened their artwork appears. Watch the delight in your students’ faces when they see the completed process. They can now give their card away and make someone’s day! 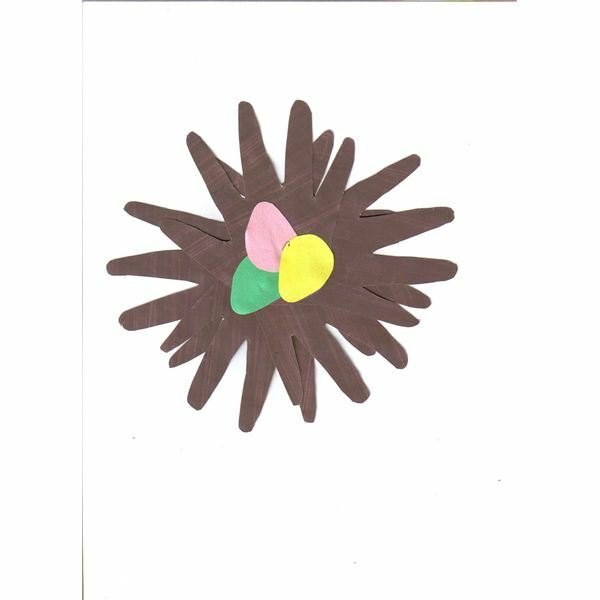 Preschoolers love to paint with sponges, so this craft expands that enjoyment by using egg sponges! Have multiple colors available to your students. Watered down tempera paints will work best for this activity. To make the egg sponges simply use a common kitchen sponge that can be cut into an egg shape. You could use an old sponge for recycling purposes and save them from year to year. Organize the paints ahead of time by giving each color a separate plate and sponge. Have the students sit in groups so they can share the sponges and their corresponding colors. Give each child a piece of white construction paper. Ask them to dab the sponge in the paint and press the sponge to their paper. You will most likely have to do a demonstration for this sponge-paining process. These preschool Easter crafts will be a great addition to your classroom curricula. These Easter egg crafts will offer hands-on learning enhancing the learning process! Looking for even more ways to extend this lesson? Try using these Easter stories for preschool read-alouds.